Bling it like you swing it! Who doesn’t like a little glitter and shine, or even a whopping dose of glamour on their wedding day, we say! Nothing screams glamour like those glorious pieces of shiny objects that catch light. Crystals are the best way to glam up your wedding décor. Add the magic of lights and voila! You have for yourself all the drama you need in one day. Crystal ceiling and table chandeliers: Lights and crystals are a match made in heaven. Whether hung from the ceiling or placed on a table as centerpieces, these beauties are sure to grab eyeballs and a whole lot of glint. Add candles and flowers to this mix and you’ve created drool worthy still life, just ready to be rendered in a painting. Crystal Strings: Dangle a rows of beaded crystal strings from just about anywhere to create some delicate drama or add them to centerpieces and hang them from trees for additional gorgeousness. String them together with flowers or without and cluster a whole bunch of these together for the crystal drape effect to create a fairy tale-ish mood. 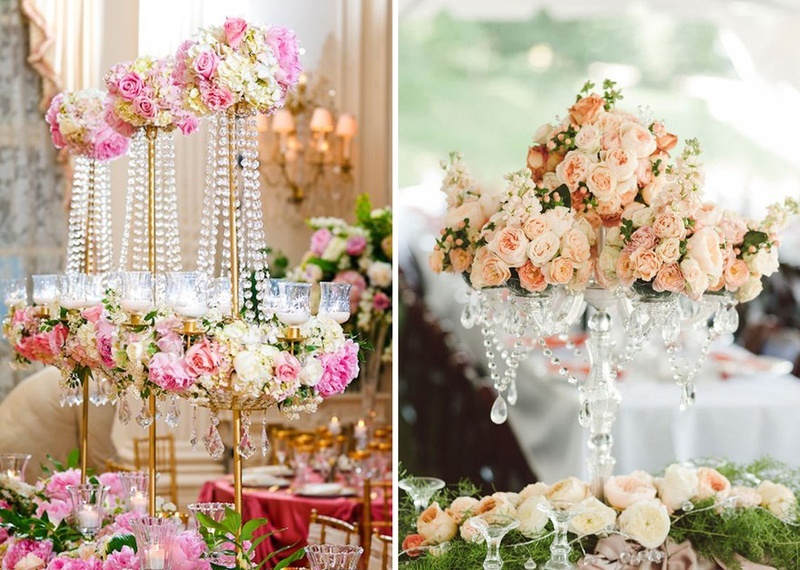 More is less is the rule you apply when you use these trifles for your wedding décor. When you’ve decided upon the journey, go the distance, right? Scroll on to look at our top 50 décor looks using crystals where no stones were left unturned. Write us comments on how you liked this blog and also let us know if you’d like to read about something in particular. Happy browsing dear brides. Stunning Wedding Decor Ideas without Flowers!